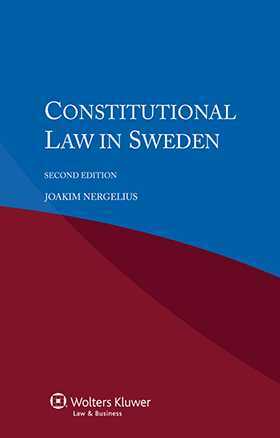 Derived from the renowned multi-volume International Encyclopaedia of Laws, this very useful analysis of constitutional law in Sweden provides essential information on the country’s sources of constitutional law, its form of government, and its administrative structure. Lawyers who handle transnational matters will appreciate the clarifications of particular terminology and its application. Throughout the book, the treatment emphasizes the specific points at which constitutional law affects the interpretation of legal rules and procedure. Its succinct yet scholarly nature, as well as the practical quality of the information it provides, make this book a valuable time-saving tool for both practising and academic jurists. Lawyers representing parties with interests in Sweden will welcome this guide, and academics and researchers will appreciate its value in the study of comparative constitutional law. Chapter 1. Concise Description of Constitutional History. Chapter 2. Profile of the Form of Government. Chapter 3. State Territory and Other Geographical and Demographic Data. Part I. Sources of Constitutional Law (Notion, Concepts and Hierarchy). Chapter 3. Legislation and Equivalent Legislative Rules. Chapter 4. Administrative Regulations and Orders. Regulations and Decrees. Chapter 5. Other Sources of Law. Part II. Form of Government. Chapter 2. Head of State. Chapter 5. The Judiciary and the Independence of the Courts. Part IV. Human Rights and Judicial Review. Chapter 1. Human Rights in Sweden. Chapter 2. Judicial Review in Swedish Law.